Standard: IEC60245, ASTM, VDE, DIN etc. What is the application of welding cable? The welding cable is designed to transmit large currents from welding machines to welding tools. We can apply the flexible cable to different situation. Such as on assembly lines and conveyor systems, in machine tool and motor car manufacturing, ship building, for manually and automatically operated line and spot welding machines. Some welding cable manufacturers can also provide the heavy duty welding cable for rough conditions. So the electric welding cable is very common in modern industrial projects. What is the characteristic of electric welding cable? 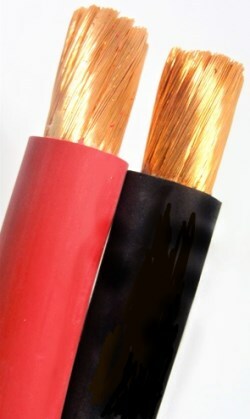 Owing to it’s good property, many people choose shielded welding cable for their projects. Next, let’s see some main characteristics of welding wire. Being one of the welding cable company, Huadong manufactures the best welding cable in accordance with the IEC60245, ASTM, VDE, DIN and other standards. All of our welding wire are examine before delivery. We promise to provide high quality products for every customers. If you are looking for reliable welding cable manufacturers, Huadong will be your best choice. There are best welding cable for sale. Just feel free to tell your requirements. How to select superior heavy duty welding cable? The package is also important. All welding cable manufacturers who provide products in line with the national standard, pay great attention to product packaging. There are large quantity welding cable for sale in the electric market. When you buy welding cable, you should pay attention to their package. On Huadong products package, there are clear printing, model specifications, factory name and complete factory site. You can rest assured of our products. What’s more, as a welding cable manufacturers, we sell cables directly. So our welding cable price is lower. And if you wholesale welding cable, we can consider to give you discount welding cable. Contact us to get welding cable price list. Where to find reliable welding cable manufacturers? Even if there are many welding cable manufacturers all over the world, and all kinds of welding cable for sale, it is difficult to decide where to buy the cable. 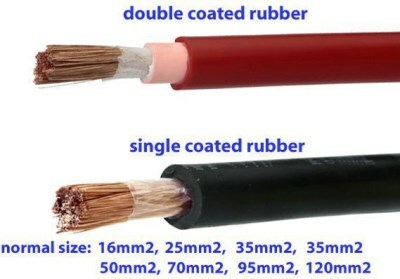 Many customers think it is not easy to find a reliable welding cable supplier. If you are also looking for high quality welding wire, you can choose Huadong. From welding cable price lists，you may find that, the its prices are not the same. And the huadong cable Group from China, has cheap welding cable. Because we are welding cable manufacturers and sell it directly. So there is no third party for extra fee. If you want to buy discount welding cable, you can tell us.